This beautiful project begins by creating a marine turtle. Most of the materials are easily found. 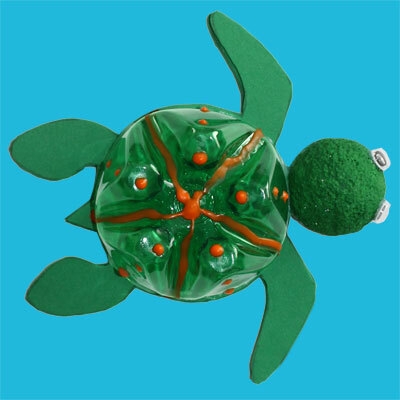 You can recycle a plastic bottle to form the shell of the turtle. The beauty of this project is that each child can use his or her creativity to make their turtle unique. The second part of the activity let the kids experiment with magnets. Insert metallic paper clips or a neodymium magnet in the mouth of the turtle and glue a magnet on the tip of a dowel. 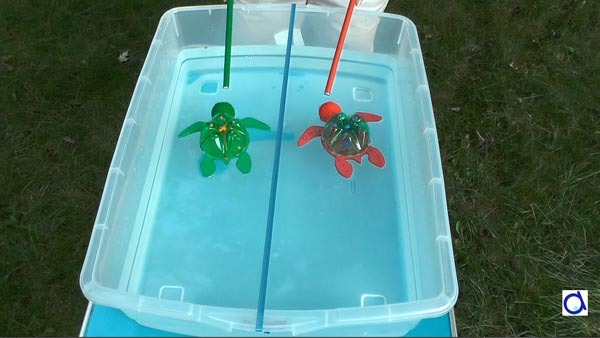 Place the turtle in the water and make the turtle move. As you probably know, turtles are known to take their time, but these turtles will be swimming and racing. It’s a game of skill to make the turtle go in the right direction with a magnet, without touching it. 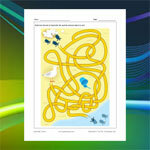 The downloadable document contains the list of materials, illustrated instructions, and patterns. You can buy self-adhesive neodymium magnets here. Note: Keep these small objects away from young children, who might be tempted to put them in their mouth! What kind of glue did you use on the neodymium magnets?